Richard has worked in Private Equity, targeted many acquisition targets and closed several deals in the technology, consumer electronics, manufacturing and healthcare industries. He is experienced in M&A processes and strategies, valuations, synergies, due diligence and negotiations. Worked and advised clients across several industry sectors including life sciences, healthcare, consumer products, manufacturing, logistics, Business to Business services, aerospace, technology, financial services and environment. 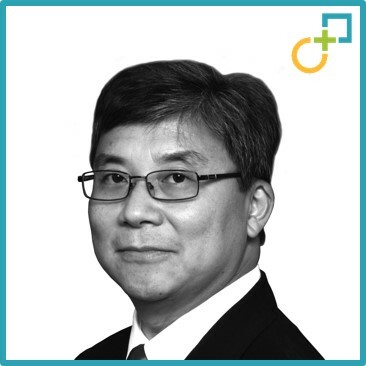 Richard has worked internationally in Canada, U.S, China and Europe on a variety of expatriate assignments and has been involved in merger integration, strategy and operations projects totaling more than several hundreds of millions in value. He led the operations and cultural integration of Laboratoires UPSA, France ($1bn) into Bristol Myers Squibb’s global operations and was the regional finance lead for the strategic carve out and IPO of Mead Johnson Nutritionals ($0.7bn). He was also involved in other multidisciplinary projects such as process improvements, change management, governance programs, establishment & optimisation of financial control systems and shared service centres. Richard is a chartered professional accountant (CPA) and a chartered administrator (Adm.A). He holds a Bachelor of Commerce from Concordia University and a Diploma in Accounting from McGill University in Montreal, Canada. He has also completed the Executive Program from INSEAD, Fontainebleau, France. Richard is a board member for Hotel Le Crystal (Chair), La Vitrine Culturelle de Montreal (Treasurer) and an active member of the Anges Quebec (business angels) network. He is very involved in the local community and has served as a committee member in several profit and non profit organizations such as Leadership Montreal, Bénévoles d’Affaires and the fund raising committee for the Montreal Symphony Orchestra. Richard has travelled extensively across the globe with his family and loves learning about different cultures. He is a keen sportsman and in his spare time, enjoys swimming and still plays competitive soccer.